Assam CEE Counselling 2018 is going to be conducted by Dibrugarh University tentatively in the 2nd week of July, 2018 for providing admission to Engineering and medical courses offered by the colleges of Assam. Candidates who qualify Assam CEE 2018 will be called for Assam CEE Counselling which will be conducted in three rounds.During the Assam CEE Counselling Procedure 2018, the admission will be granted to the candidates according to their merit rank in the entrance examination. Therefore to attend the Dibrugarh University CEE counselling, candidates must fill the Form-B, which include the personal, educational and address details of the candidates as well as the preferences of college and courses. In regards to more details of Assam CEE Counselling Schedule, check details below. Assam CEE Counselling 2018 is going to be conducted in 2nd week of July 2018. Applicants must fill and submit the counselling form (Form-B). which they can download from the official website. All the Assam CEE 2018 qualifiers, JEE Main 2018 qualifiers will be eligible to appear the Dibrugarh University counselling process for admission into the professional courses in the prestigious institutions of Assam. Candidates attending for Counselling must fiil the form B application where they can fill their choice of course and institute. For filling the application form candidates must the fill the following details. 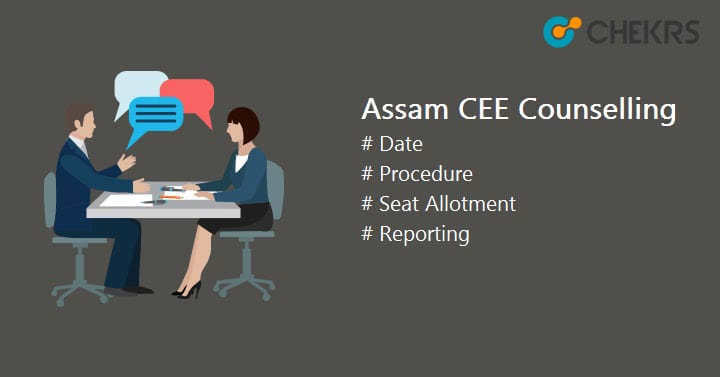 While attending CEE Assam Counselling 2018 candidate must carry the below-listed original copy of documents along with self-attested copies with them for the verification purposes. After the verification of documents candidates must make payment of admission fee as prescribed. Candidates will be allotted seats as per their rank in the merit list. In case of availability of vacant seat after the seat allotment process, a list of vacant seats will be provided which include the Date, Venue and Time of next round of counselling for Assam CEE & JEE Main candidates.